Auto Glass Express has a large mobile fleet of service technicians that proudly serves Brooklyn Park. We service all makes and models from BMW to Toyota. 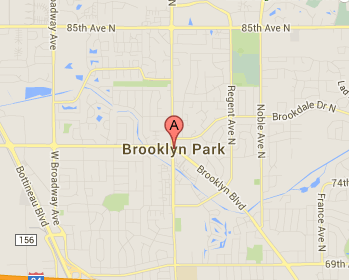 We will drive to Brooklyn Park and fix your car at your work, home, or where ever. We can even come fix your car while you have a cold one at the Surly Brewing Company. Auto Glass Express has been repairing and replacing windshields for more than 20 years. We are a BBB A+ rated company and an AGRSS certified company. We can come to your car in Blaine with our mobile windshield service. Our friendly staff can help guide you through the insurance claim process. Simply give us your provider and policy number and we will call your insurance provider with you. Once the claim is filed, we will set up a time that works for you (usually the next day or same day). Then, our skilled technician will call you when he is close to your destination. Simply unlock your car and they will notify you when they are finished. If you live in Brooklyn Park, MN and need a windshield repair or replacement, call us at 612-379-9193. You can also fill out our quick online form to schedule service.